You can’t go wrong with candles – a gift for a family member, friend, or just for yourself. A charming British brand has cropped up on my radar recently and it is emerging as my number one brand of choice for candle gift giving. 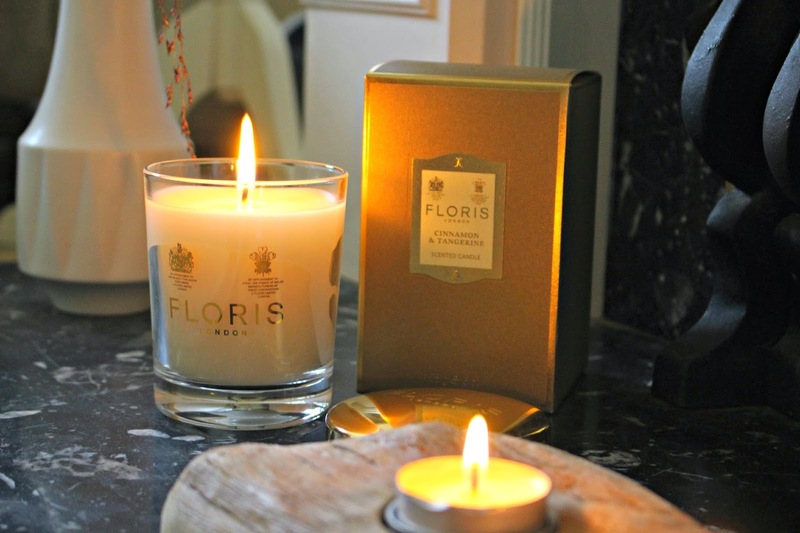 Floris is the only Appointed Perfumer to her Majesty the Queen, so if it’s good enough for royals, then you can’t go wrong! The scented candles are beautifully presented in boxes (so easy to wrap!) and instantly fill the room with fragrance even when the candle is not lit. My favourite for this time of year is Cinnamon and Tangerine. It’s a slightly festive, oriental citrusy fragrance and you can detect the notes of orange and tangerine, mixed with warm rich spice fragrances of cinnamon, clove and nutmeg. The base is sweet vanilla with Amber, Sandalwood, and a splash of brandy too. It isn’t overly feminine either so could be an ideal gift to give a couple or even a man. The oils are so richly scented and of course the quality is incredible – I have lit mine a few times and it has barely used any wax. The average minimum burn time is 35 hours. From the instant you open the gold box you know that you’ve found a gem – with an ornate gold lid and gold detailing on the holder, every detail is perfected. The cost isn’t astronomical either, at £40 for a 175g candle it’s so reasonable when you compare it against other brands that aren’t of this quality. 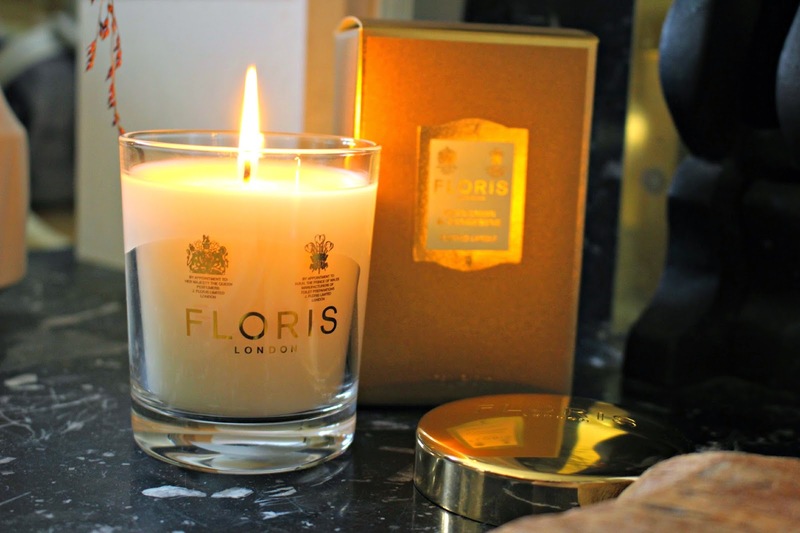 So if you are looking for a perfect little gift, or just want to add some lovely fragrance to your home for the festive season and beyond, then I highly recommend you give Floris a try with their fabulous fragrances. 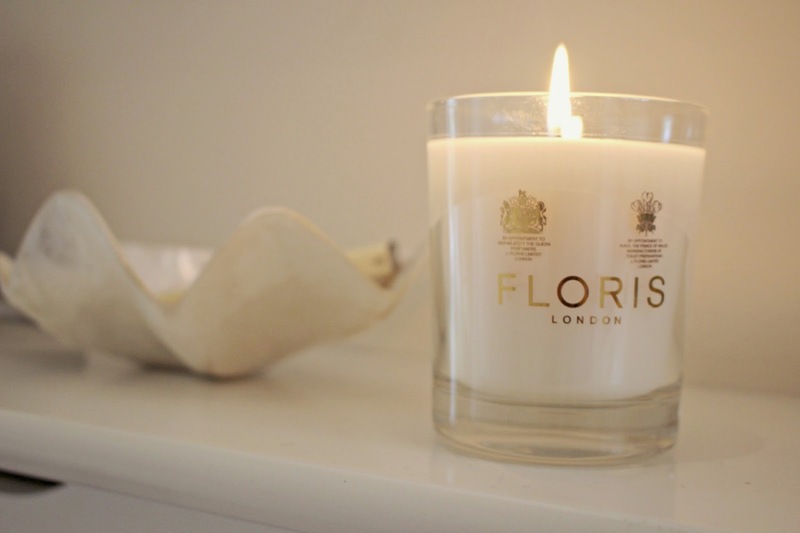 You can view the whole collection on the Floris Website here.